Jamil received his BA from Boston University, his Ph.D. from Columbia University, and postdoctoral training at Harvard University. Now that he’s in the Bay Area, his hobbies include compulsive hiking, eating avocados, and trying to remember how to drive again. Sapiens cared for each other. worked together. Adam Smith - fellow feeling - now called empathy. Hard to care about large groups. Does it have to be this way? empathy down. There is the idea that empathy is fixed. Conformity - can work for good. 1:12 Chapter 2. What got you interested in studying emotion? 2:27 Chapter 3. What are the central discoveries of your work? 16:37 Chapter 4. 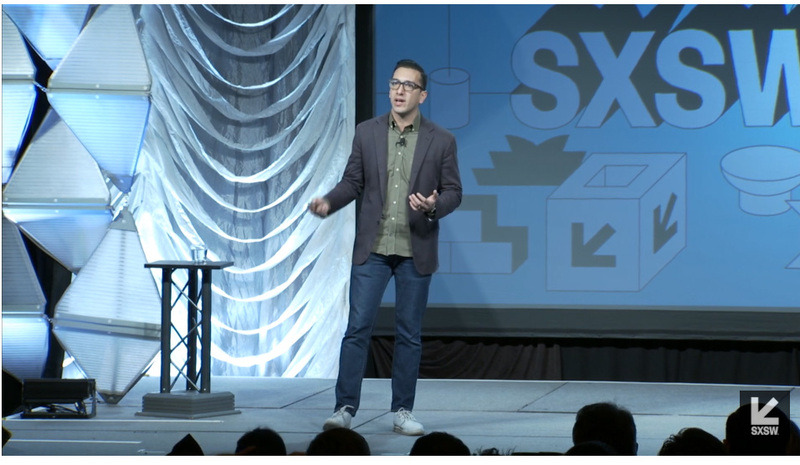 What do you see in store for the future of emotion? 18:03 Chapter 5. What is your advice to viewers? 3. motivational piece - understanding you do I have a motivation to do something? psychopaths can understand others but don't feel them or help them. 5:00 How different for sympathy and pity? What are most interesting science discoveries? How does this fit into society? dissolve boundaries between people and groups. what are the next steps - the undiscovered teritory. "At least in this case, sustainable and deep empathic concern for others began with that ancient mandate: Love thyself. And self-love is often the most difficult kind. But helpers, and the rest of us, have a flexible emotional life and the power to shape our feelings to better suit our needs. This opportunity is especially important for people who work in empathy’s trenches. To the extent that they can even out their emotional spotlight, they can benefit immensely. So can the lucky targets of their kindness." JAMIL ZAKI is an assistant professor of psychology at Stanford University and the director of the Stanford Social Neuroscience Lab. "In a fractured world, can we hack our own sense of empathy and get others to become more empathic? Professor, Department of Psychology, Stanford University Jamil Zaki is an assistant professor of psychology at Stanford University. His research examines social cognition and behavior, especially how people understand and respond to each other’s emotions. This work spans a number of domains, social influence, prosocial behavior, and especially empathy (see ssnl.stanford.edu for details). In addition to studying the mechanics of empathy, Dr. Zaki’s work focuses on helping people empathize better. For instance, new research from his lab examines how to encourage empathy for people from distant political and ethnic groups, and also how caregivers and healthcare professionals can effectively empathize with their patients while maintaining their own well being." "If you believe that you can harness empathy and make choices about when to experience it versus when not to, it adds a layer of responsibility to how you engage with other people. If you feel like you're powerless to control your empathy, you might be satisfied with whatever biases and limits you have on it. You might be okay with not caring about someone just because they're different from you. I want people to not feel safe empathizing in the way that they always have. I want them to understand that they're doing something deliberate when they connect with someone, and I want them to own that responsibility. JAMIL ZAKI is an assistant professor of psychology at Stanford University and the director of the Stanford Social Neuroscience Lab. Jamil Zaki's Edge Bio Page." "What parts of the brain are stimulated when we feel fierce anger or compassion? Can compassion be learned or is it innate? Does empathy have limits, especially for those of us working on the frontlines of social change? Take an extraordinary visual trip through a real brain and hear from a new wave of researchers using the methods of social psychology and cognitive neuroscience to challenge our views on these questions. Explore how compassion—and its limits—might inform our work as social innovators." "More recently, however, a growing countercurrent has questioned the utility of empathy in driving moral action. This argument builds on the broader idea that emotions provide powerful but noisy inputs to people’s moral calculus (Haidt, 2001). Affective reactions often tempt people to make judgments that are logically and morally indefensible." Full Empathy is a moral force The chapter is here. "We often think of empathy as an automatic process. However, empathy is often context-dependent. Our willingness to empathize with others changes with different situations and with different people .A new paper by Jamil Zaki resolves this tension by underscoring the role of motivation in empathy. Motives drive our willingness to empathize. 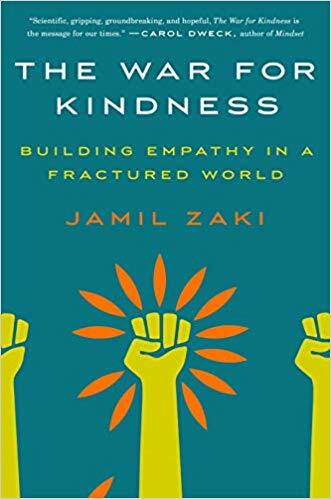 In his paper, Zaki highlights specific motives that drive people to avoid and approach empathy, illustrates a motivated model of empathy, and suggests potential interventions to maximize empathy." "People tend to stereotype psychological phenomena. It’s tempting to think that stress is always bad, resilience is always good, and so forth. Like other stereotypes, these beliefs help us neaten the world and extract signal from noise. Also like other stereotypes, such beliefs are misleading and often harmful. Call me pessimistic, but whenever the media breathlessly praises a practice or trait—meditation and grit come to mind—I always wonder about its downsides. Jogging is great for you, but not always, and not in every way (ask my knees). The same goes for happiness. My own favorite human characteristic, empathy, is no different. " "About 250 years ago, Adam Smith famously described the way observers might feel watching a tightrope walker. Even while standing on solid ground, our palms sweat and our hearts race as someone wobbles hundreds of feet in the air (you can test this out here). In essence, we experience this person’s state as our own. Centuries later, this definition does a surprisingly good job at capturing scientific models of empathy. Evidence from across the social and natural sciences suggests that we take on others’ facial expressions, postures, moods, and even patterns of brain activity. This type of empathy is largely automatic. For instance, people imitate others’ facial expressions after just a fraction of a second, often without realizing they’re doing so. Mood contagion likewise operates under the surface. Therapists often report that, despite their best efforts, they take on patients’ moods, consistent with e vidence from a number of studies." "The last decade has witnessed enormous growth in the neuroscience of empathy. Here, we survey research in this domain with an eye toward evaluating its strengths and weaknesses. First, we take stock of the notable progress made by early research in characterizing the neural systems supporting two empathic sub-processes: sharing others' internal states and explicitly considering those states. Second, we describe methodological and conceptual pitfalls into which this work has sometimes fallen, which can limit its validity. These include the use of relatively artificial stimuli that differ qualitatively from the social cues people typically encounter and a lack of focus on the relationship between brain activity and social behavior. Finally, we describe current research trends that are overcoming these pitfalls through simple but important adjustments in focus, and the future promise of empathy research if these trends continue and expand." "I had the opportunity to discuss with him Truman Capote, Sufjan Stevens, brains, and things that I barely understand. James Scott: So one of the things we talk about a lot is empathy and how it relates to the arts. You believe it’s a necessary component, and a critical building block, in becoming an artist in the first place, right? Jamil Zaki: Human beings are not the world champions of many things. We’re not big, strong, fast, or sharp (at least tooth-wise). But we are the world champions of understanding each other. In a way, art—and especially narrative art—is the greatest expression of that ability. Narrative is a way to embody lives and worlds we have yet to experience, and in almost all cases will never experience. In a way, it’s a type of empathy boot camp: living as many lives as possible without having to leave a single room." "HUMANS ARE UNLIKELY to win the animal kingdom’s prize for fastest, strongest or largest, but we are world champions at understanding one another. This interpersonal prowess is fueled, at least in part, by empathy: our tendency to care about and share other people’s emotional experiences. Empathy is a cornerstone of human behavior and has long been considered innate. A forthcoming study, however, challenges this assumption by demonstrating that empathy levels have been declining over the past 30 years." "An inborn tendency to share the feelings of others -- to feel joy at their joy, match suffering to their suffering (first labeled "Empathy" by psychologist and art theorist Theodor Lipps) -- probably forms the basis of our aversion to distress, and our willingness to help others. Empathy and altruism are evolutionarily old, as even non-human apes share emotions and respond to each others' distress: chimpanzees will forgo a chance to push a button and receive food if pressing that button also results in another chimpanzee being shocked. Apes in the wild are similarly prosocial, and will console the loser of a fight by putting their arm around his or her shoulders like friends buying each other a beer after a bad breakup. "